Headset cable for cameras / intercom. 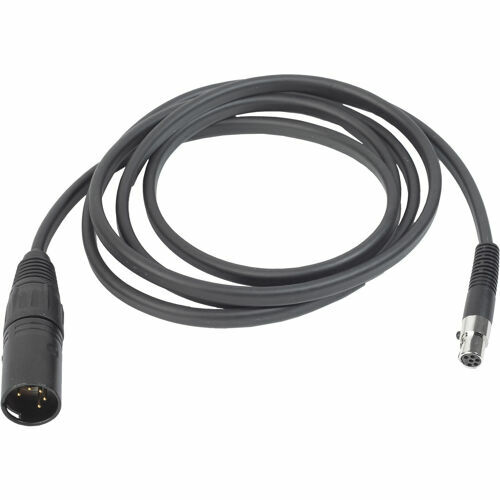 Detachable cable with a 6-pin mini XLR connector on one end that connects to AKG HSD headsets, and a 5pin XLR connector (male) on the other end. Cable length: 1.6 to 2.3 m (5.2 to 7.5 ft.).